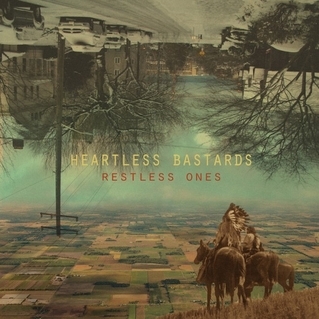 "Restless ones" is the fifth album from American rock band Heartless Bastards. The band have an interesting mix of musical styles, ranging from a rocky guitar-driven sound, to more folk or alt-country, with indie rock in the mix as well and even a touch of psychedelia. Singer/guitarist Erika Wennerstrom has an interesting voice - I listened to the album before reading the press release, and my first thought was that there were two vocalists on the album - one male and one female, but in reality it's just Erika's vocals. I do like her vocals though - they do suit the music very well and sound great, and in some ways the fact you're not sure if it's a man or woman singing is a good thing - it removes any natural prejudice that some people have. The album ends with "Tristressa", a psychedelia infused track with looped guitars and soun effects droning in the background while Wennerstrom's vocals add to the eerie feel. I really can't make up my mind about this album - none of the songs really leap and and grab my attention, but having said that they are all still good. I suspect some of them will sound better in a live environment, but overall the album just doesn't quite appeal to the point where I'd spend money to buy a copy.